No matter how many awesome new ways developers figure out to manipulate WordPress into all sorts of useful websites, I’ll always have a soft spot for a good fashioned blog. 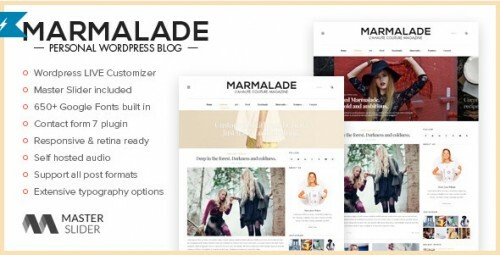 Premium wordpress themes represent the very epitome of wordpress themes templates and are designed specifically to offer powerful web development tools at competitive prices. 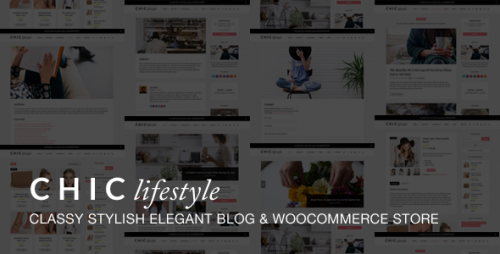 So for anyone who might be looking to create such a site I’ve collected some of the amazing premium WordPress themes for lifestyle blogs in the post below. These themes have incorporated the same. The themes are so created that each and every block are adjusted in the way that any laity can understand and enjoy reading the same. 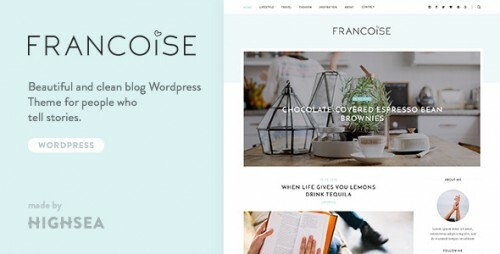 While many of the wordpress premium themes are developed for niche bloggers and developers, yet many of them are also designed to take advantage of the latest web technologies. If you enjoyed this post, please consider to subscribe to the feed and get future articles delivered to your feed reader. The hardest part about starting a blog should be creating your own quality, one of a kind content. You shouldn’t have to stress about how to make your blog look great. One of the key features of Chic is built-in WooCommerce compatibility. After installing Chic, simply install and activate the popular, powerful (and free) WooCommerce plugin. If you need a bit of help getting started you can install our sample data, but adding products is extremely easy. 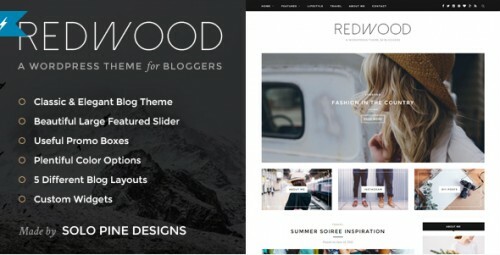 North West is an elegant simple blogging theme designed to showcase your content with minimal effort. Packed tons of great features such as a beautiful full screen slider, creative angled images option, and Instagram footer feed. It also has 10 different blog layouts to choose from which are easily selected via the WordPress customizer panel. 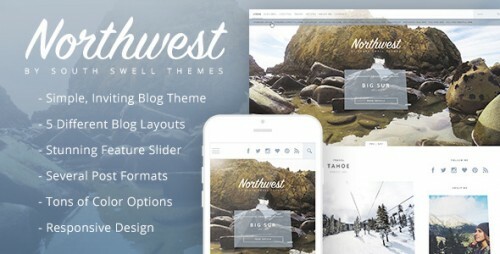 North West’s clean and contemporary design is the best way to show off your content in a way that will make heads turn! 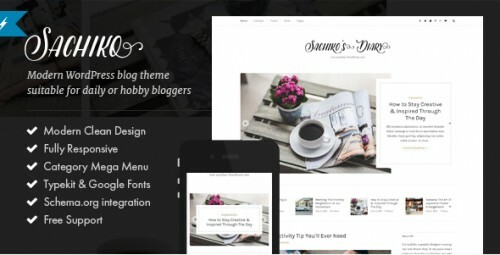 Sachiko is a WordPress theme build especially for daily or hobby bloggers who love to share their stuff, whether it’s about life, fashion, travel, or just a simple personal blog. Featuring a clean, elegant and typography focused design, Sachiko is guaranteed to bring a pleasant reading experience to your readers. 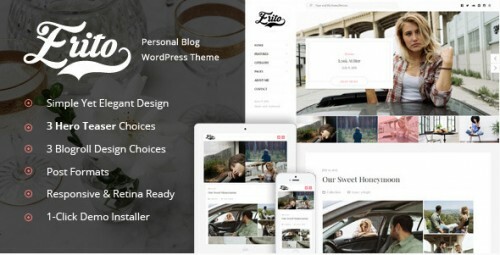 Features: A modern responsive design with classic touches, Fullwidth / sidebar post layout, Category mega menu, Typekit & Google Fonts Support, Schema.org integration, Full integration with WordPress Customizer and more. About the Customizer (Design / Customizing) in the WordPress admin area, you can adapt to your needs without having to change the code itself. You can change colors, change the font size and style of your title, choose options for the header. Responsive web design and is therefore optimized for viewing on mobile devices and desktop screens alike. 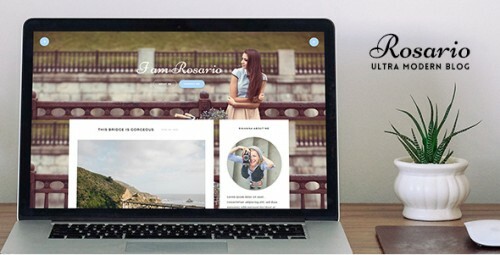 Serve an optimized version of the theme to your visitors on tablet and mobile devices. Optimized for iPad and iPhone. Courage is a bold, fresh design, customizable & flexible WordPress theme with fully Responsive Design. Courage is a simple way to create your Personal Blog, with no technical knowledge or expertise required! Theme is powered by the Redux Options Panel, which provides tons of options to manage and modify any aspect of the theme, it is well suited for both beginners with no coding knowledge and developers. 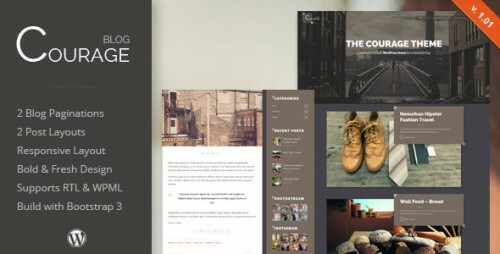 North Shore is a clean and elegant blog theme, with a big focus on your content. 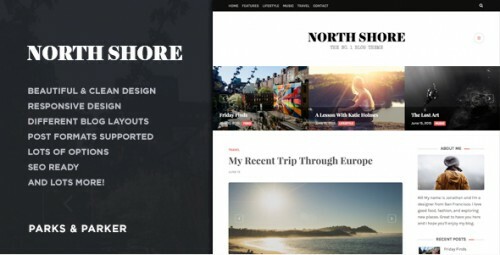 With a ton of different features and a multitude of ways to showcase your posts, North Shore is perfect for anyone who needs their blog to stand out. Features: Instagram Widget, Facebook Widget, Recent Posts Widget, Custom Fonts, Unlimited Colors Supported With WordPress Customizer, SEO Optimized, Contact Form Supported, Full Width Page Template, Social Media Icons In Header, Translation Ready and more.